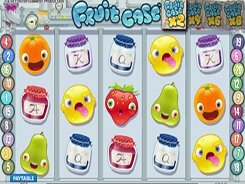 Jungle Games is a five-reel slot with 20 fixed lines. 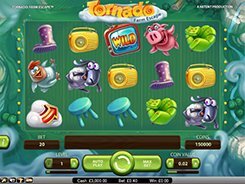 Featuring modern graphics and out-of-the-ordinary interface, the slot has a wild symbol, a scatter and the round of free spins. 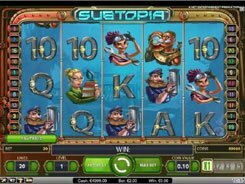 You have two adjustable bet settings: a coin value ($0.02 to $0.5) and the number of coins per line (1 to 4), so a bet per spin ranges from $0.4 to $40. 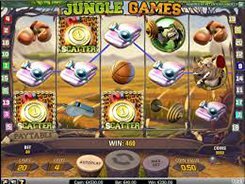 The slot will transport you to a sports ground where some of the African animals are taking exercises. On the reels you will see a rhino with swimming goggles, a giraffe with a basketball, a weightlifter monkey, and other animals as well as sport accessories. A wild symbol in the slot is the Gold Cup. It substitutes for non-feature symbols and doubles payouts when substituting. 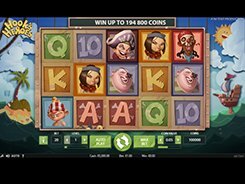 Hitting five wilds on a payline awards the slot’s jackpot of $20,000. There is a scatter symbol in the slot represented by the Gold Medal. Three or more scatters activate a Pick Win feature. 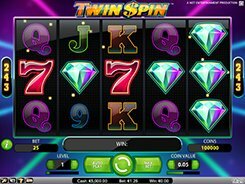 If this happens, you should click any of the scatters visible on the screen to reveal your award which is the amount of free spins and a multiplier. 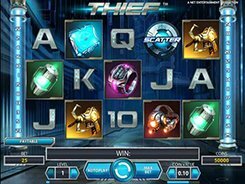 A scatter produces the second largest jackpot worth $16,000 if five of them appear scattered anywhere in view.